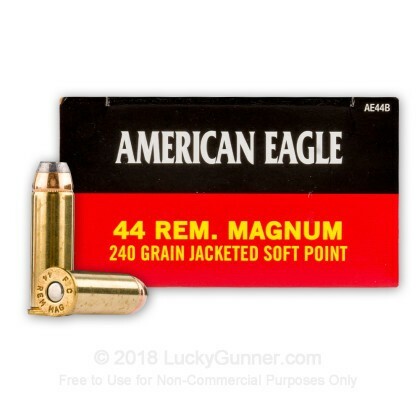 This 44 magnum ammo is perfect for your next target practice session or for your next revolver / lever action rifle hunt. Jacketed soft point ammunition is designed to expand on impact, which increases its stopping power. This will come in handy if you are face to face with a large bear or feral hog. Federal produces all of their ammunition with quality components, such as clean burning gun powder and newly manufactured brass cases. 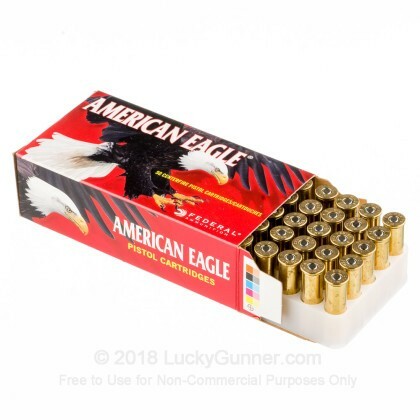 Order your box of Federal American Eagle jacketed soft point 44 Magnum ammo today! Federal has a legacy of producing some of the best ammunition in the world. 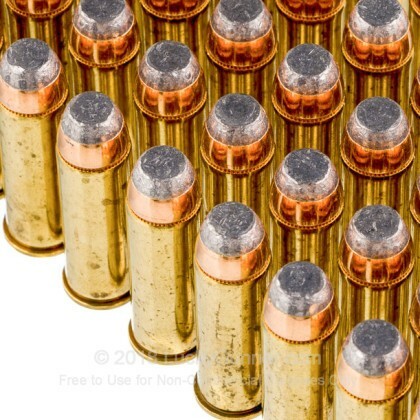 Since the early 1900s, Federal Ammunition has served the United States by producing ammo for citizen and the military, and Federal is currently the single largest producer of ammo for the U.S. military. 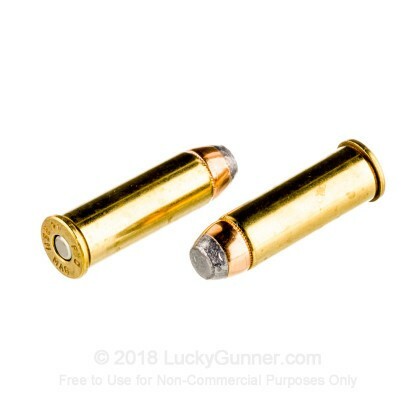 This ammo is brass cased, Boxer primed, non-corrosive and completely re-loadable! 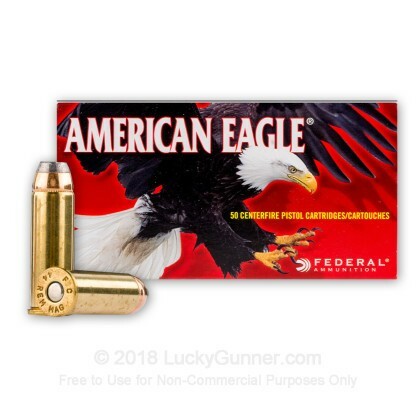 We don't have any reviews yet for this particular .44 Magnum ammo from Federal. 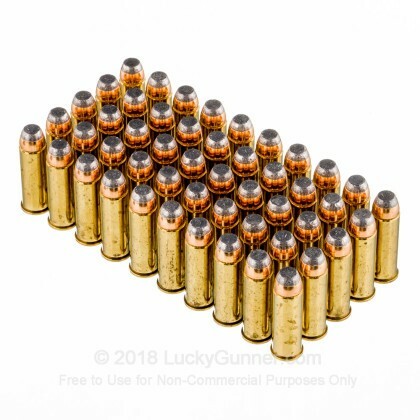 If you'd like to be the first to review this particular .44 Magnum ammo from Federal, fill out the form below.